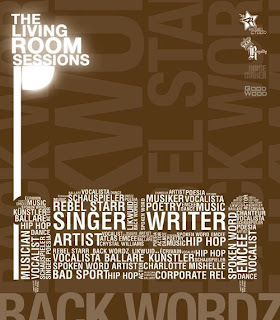 Come on out this Sunday, June 7, 2009, 6 PM, to Living Room Sessions II at Madame X's at 94 West Houston Street, NYC! I'll be doing more of my original poetry, along with Likwuid and Back Wordz of Rebel Starr, and all kinds of lovely, creative artists! It's definitely a novel experience, as the artists perform rap, poetry, and prose, and then the audience engages them in dialogue about their work. As hosts Likwuid and Back wordz put it, "No stage. No 4th wall..." Just artists, their audience, and a delightful atmosphere. Looking forward to seeing you there!